Thus, Caruana is the clear winner of the tournament being a full point ahead over the second place. He will be the challenger to the World Championship match in November this year in London against the reigning world champion Magnus Carlsen. Replay all the games in the tournament here. 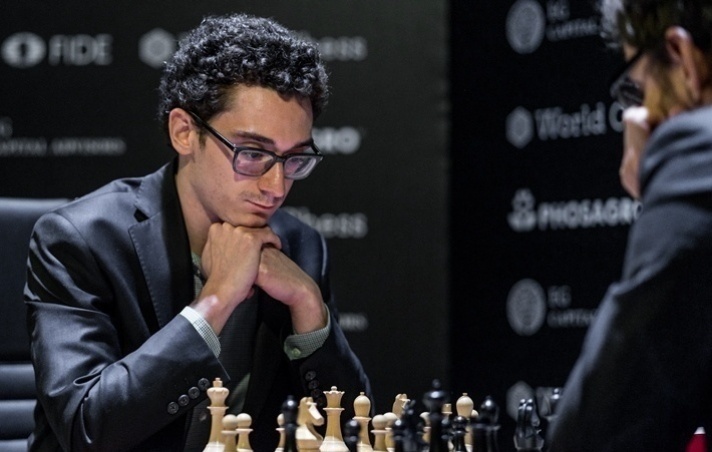 Fabiano Caruana regained his +3 win-loss margin when he defeated Levon Aronian in the penultimate round of the Candidates Tournament 2018. As a result, he also regained the sole lead leading to the final round. Moreover, this is Aronian’s 6th loss in the tournament. Meanwhile, Shakhriyar Mamedyarov won his Round 13 game against Alexander Grischuk, thus joining Sergey Karjakin in second place. Karjakin drew against Wesley So. Karjakin and Mamedyarov are still within striking distance of the sole leader, Caruana. The previous winner of the Candidates tournament, Sergey Karjakin, may have been at the bottom of the standings by the end of Round 6 when he scored just 2 points out of 6 games, or a -2 win/loss record, but he came out strong after that, winning 4 of the next six games, including his Round 12 win against the then leader Fabiano Caruana. In another match, Ding Liren finally broke his drawing streak with a win over Shakhriyar Mamedyarov. 10 rounds down and 4 to go, and Fabiano Caruana leads the pack in the race to the right to challenge the world champion. 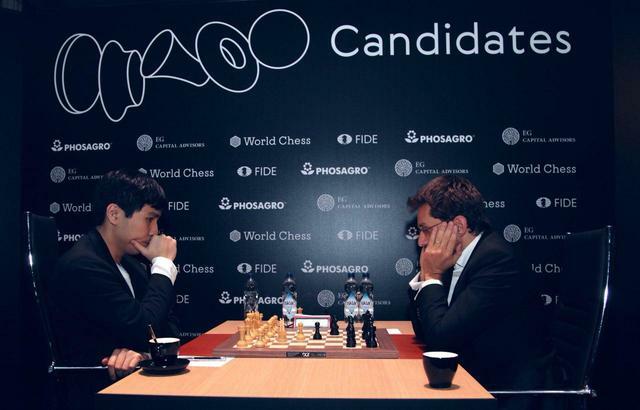 Is it gonna be Caruana vs. Carlsen in the world championship this year? Replay all the games in Candidates Tournament 2018. As we move closer to the finish line, Fabiano Caruana still leads the Candidates. Will he be the next challenger? 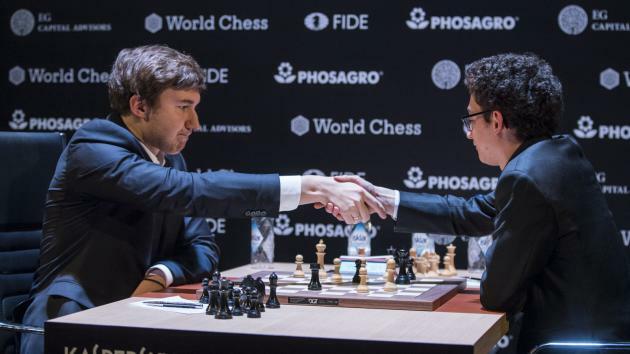 Round 8 Standings: 1st Caruana 5.5pts, 2nd Mamedyarov 5pts, 3rd Grischuk 4.5pts, 4th Ding Liren 4pts, 5th Kramnik 3.5pts, 6th Karjakin 3.5pts, 7th Wesley So 3pts, 8th Aronian 3pts. Replay all the games in the Candidates. 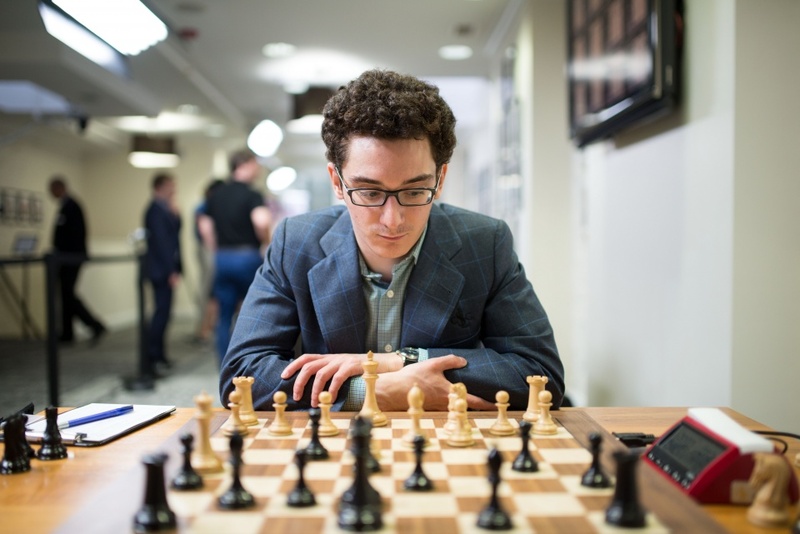 We are halfway through the Candidates Tournament 2018, and Fabiano Caruana takes solo lead after he defeated Levon Aronian in the 7th round. Wesley So was holding a drawing position towards the endgame against Sergey Karjakin, until he ran into time trouble and blundered on move 35 with 35.. Ke8. Karjakin was with a winning position when So lost on time. Vladimir Kramnik may have started the Candidates Tournament 2018 exceptionally strong, as he scored 2.5 points in the first three games. Yet, he scored just 0.5 points in the 3, as he lost his Round 6 game against Shakhriyar Mamedyarov. 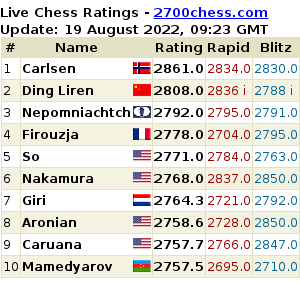 Mamedyarov then joins Caruana in the top of the standings. Meanwhile, after losing his first 2 games followed by 3 draws, Wesley So finally won a game in this tournament, at the expense of Levon Aronian. Far from uneventful round, but they were all draws just the same. Levon Aronian even missed several winning lines in his drawn game against Alexander Grischuk. Round 5 standings: 1st Caruana 3.5pts, 2nd Kramnik 3pts, 3rd Mamedyarov 3pts, 4th Aronian 2.5pts, 5th Grischuk 2.5pts, 6th Ding Liren 2.5pts, 7th Karjakin 1.5pts, 8th Wesley So 1.5pts. Replay all Candidates Tournament 2018 games. FIDE’s Candidates Tournament 2018 is an 8-player, 14-game, double round-robin tournament featuring the select top players of the world to compete against each other, the winner of which will claim the right to challenge the throne of the World Champion Magnus Carlsen. 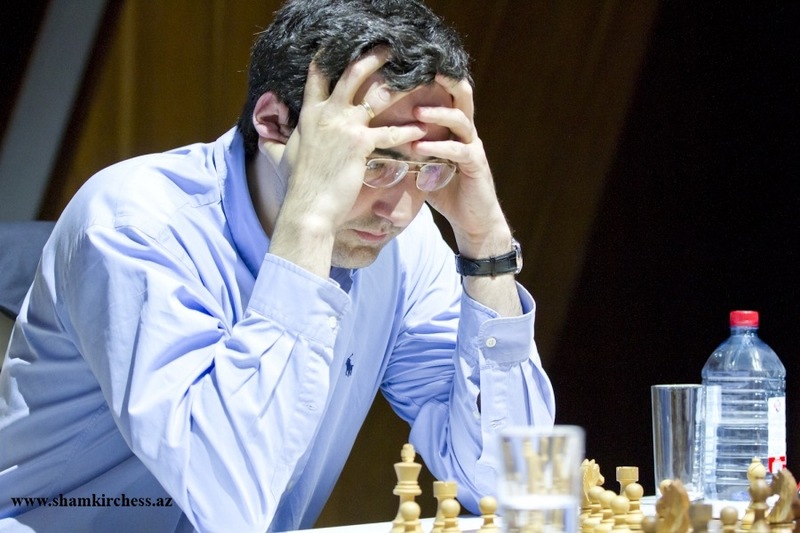 Vladimir Kramnik may have taken sole lead by the end of Round 3, but Fabiano Caruana defeated him in Round 4 to grab the lead from the former. 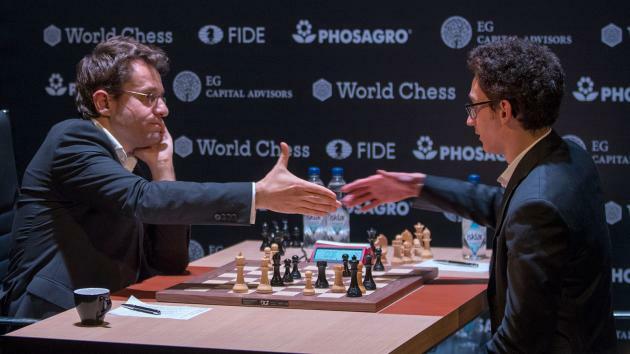 Levon Aronian may have experienced a setback in Round 3 as he lost to Kramnik, but gained grounds as he defeated the former challenger, Sergey Karjakin, in Round 4. Vladimir Kramnik scored 2.5 points in 3 games to lead the Candidates Tournament 2018 at the end of 3 Rounds.